In an effort to spend more time as a family eating, we decided to throw together an Easy Cheesy Veggie Pasta Bake for dinner. Taking less than 20 minutes from start to finish, it is a super quick and easy family friendly meal. 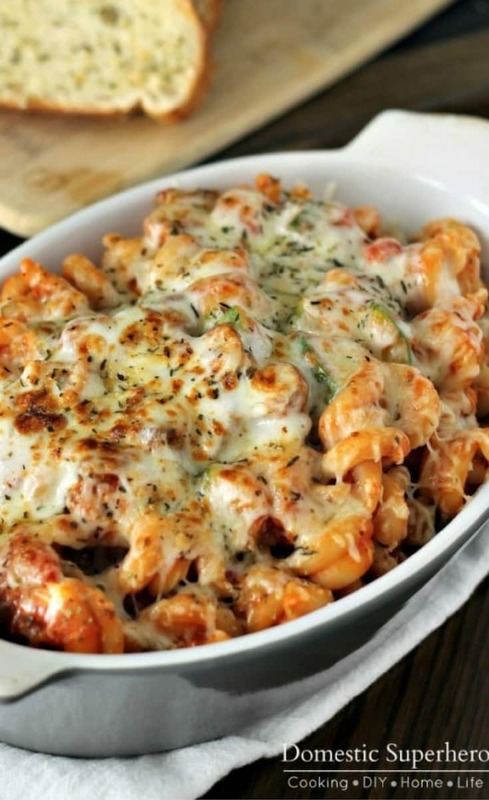 Who doesn’t love pasta, anyway?! This recipe is from Domestic Superhero. Be sure to scroll down for the direct link. Be sure to click over to Domestic Superhero to read more about this 20 Minute Cheesy Veggie Pasta Bake!